With great food comes great creativity. We are naturally inclined to lick our lips and let our tummies grumble when we see beautifully presented delicious dishes arrayed before us. 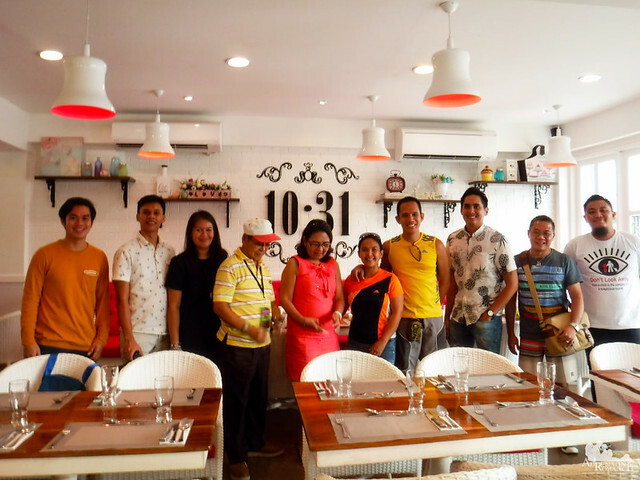 During our trip to Jagna, Bohol, we stopped by a quaint bistro called 10:31 by Chef M in a quiet corner of Tagbilaran City. There, we were able to truly immerse and marvel in the impressive genius of local Boholano culinary artists. 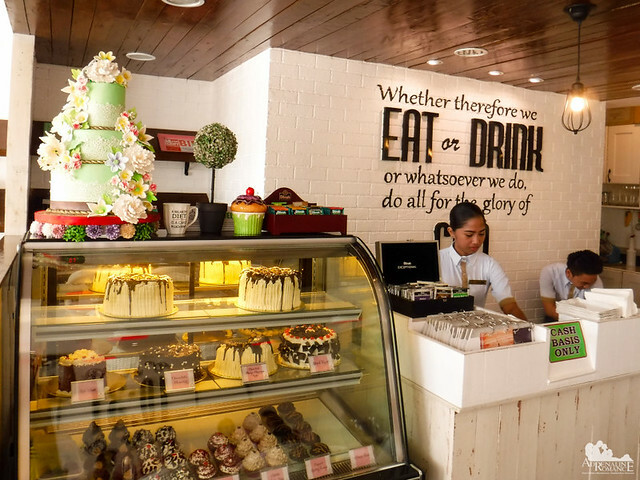 Established in 2016 by Chef Mary Wyvern Veloso and her business partner Ian Orillos, 10:31 started out as a bakery and catering company. 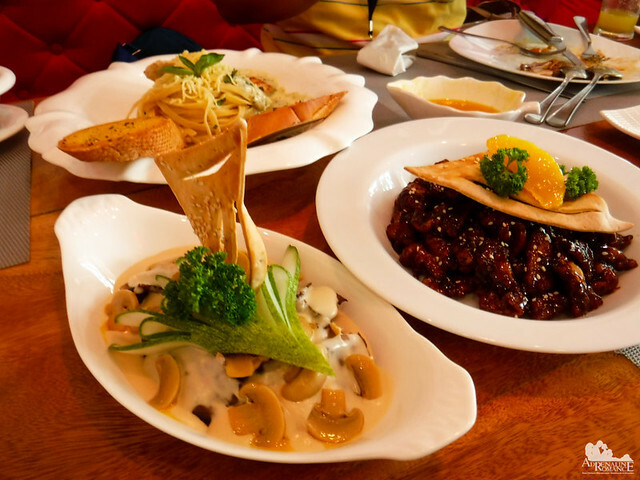 However, the duo realized that many locals and visitors were on the hunt for delicious gourmet meals and decadent pastries—food items that they have already specialized in. Seeing an opportunity to cater to this market, they decided to re-brand the business into a fine-dining bistro, now christened 10:31 after a verse in the Bible. From the wooden fence to its French windows, 10:31’s facade retains its dainty and cottage-like look despite the fact that it is between two less classy establishments. Weather-resistant wrought-iron tables and chairs are provided for those who want to take their meals and coffees outdoors. The simple but immaculate interior of the bistro is pleasing to the eye. Without any superfluous distraction, 10:31’s specialty cakes, artisan breads, pastries, and other food products are prominently highlighted. Check out how the tea bags are organized in compartmentalized luxury boxes. Small jars, flower boxes, colored bottles, lamps, and other knickknacks are placed on wrought-iron shelves, adding life to the interior. Customers are ushered to sit on comfortable chairs and couches. 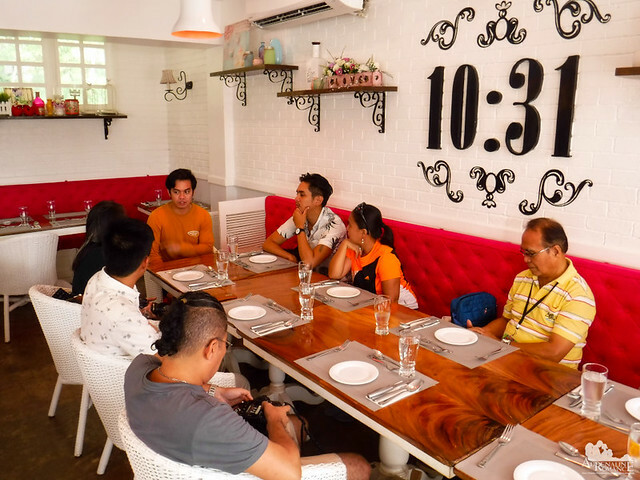 While waiting for our food to arrive, Ian told us the history and idea of 10:31, their business goals, their menus, their future plans, and more. They want guests to truly savor fine food, talk with friends and loved ones, and enjoy a great dining experience. As such, the bistro does not offer WiFi services to discourage patrons from getting engrossed in their mobile devices. We started out with appetizers. We had Buffalo Wings that are coated with their homemade spicy sauce; six pieces of these already constitute a full meal. We also enjoyed Tomatoes and Basil Bites, which are toasted bruschetta bread topped with tomatoes and basil and drizzled with olive oil. Crispy nachos were served with creamy cheese and chili con carne sauces. We have nothing but the utmost praise the visual presentation of the dishes; they’re simply world-class. The interplay of colors, plate arrangements, and food designs can only be matched by their superb taste. Take for example these California Salad Wraps, vaguely inspired by California Maki. 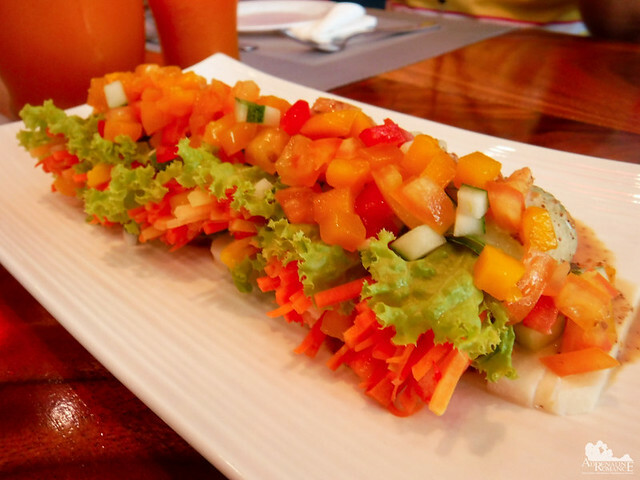 The diced mangoes, tomatoes, and cucumbers perfectly complement the green lettuce, orange carrot sticks, red crabsticks, and white wrap. Drizzled sesame oil helps blend the flavors together. 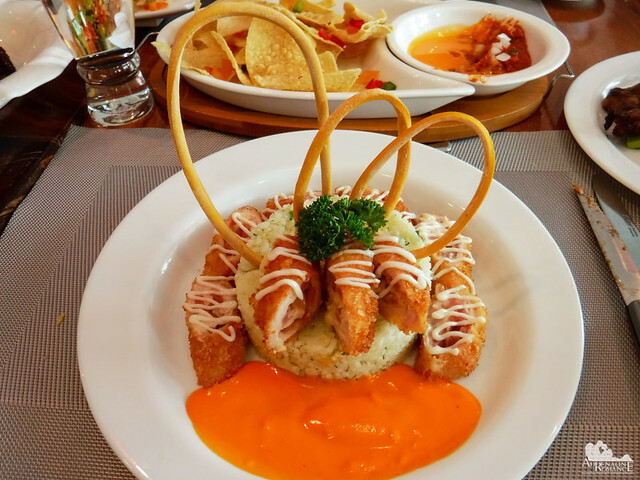 We have tasted Chicken Cordon Bleu a number of times, but we haven’t seen the dish presented in a very artistic form until we visited this bistro. Various meat and pasta dishes, each with its own unique presentation, were astonishingly visual and gastronomic masterpieces. 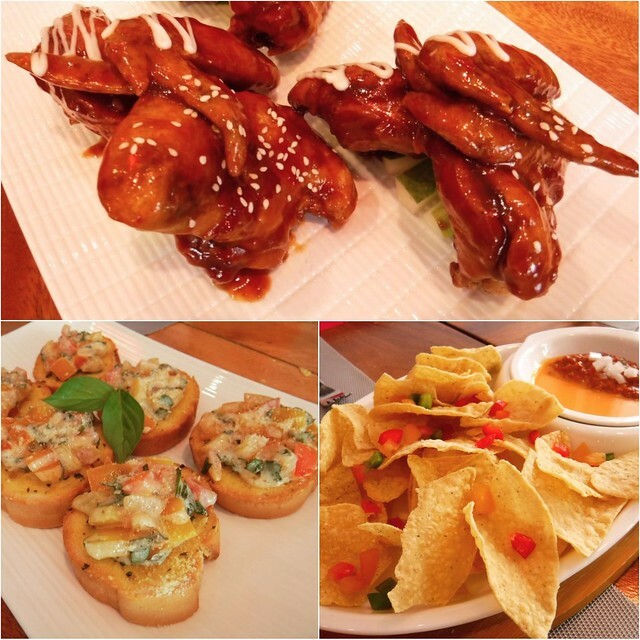 We salute the people who have conceptualized and prepared these delicious dishes. Sheila and I absolutely love seafood. Thus, we squealed with excitement and delight when this Crab Relleno was served. Note the imaginative setup. 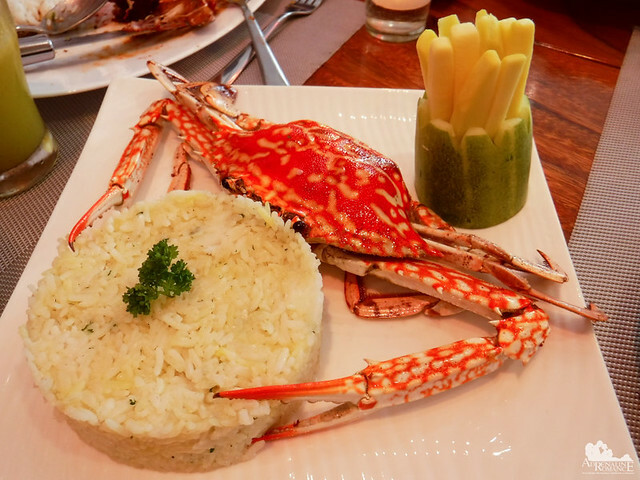 The entire crab is stuffed with meat and spices. The sourness of the green mango compliments the tender, slightly salty taste of crab meat. The Baked Salmon is my personal favorite. A fresh, thick salmon fillet is first basted with secret herbs and spices. 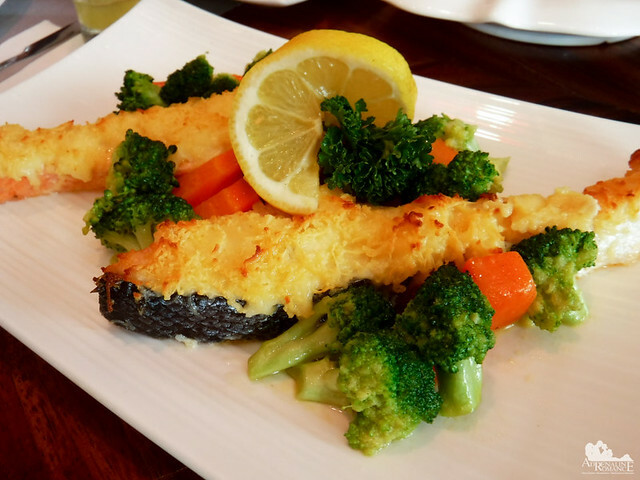 The fillet is then topped with layered cheese and garlic sauce before it gets baked to perfection. Although the melted cheese was a little too rich for me, every bite of the tender, juicy salmon was a trip to culinary heaven. 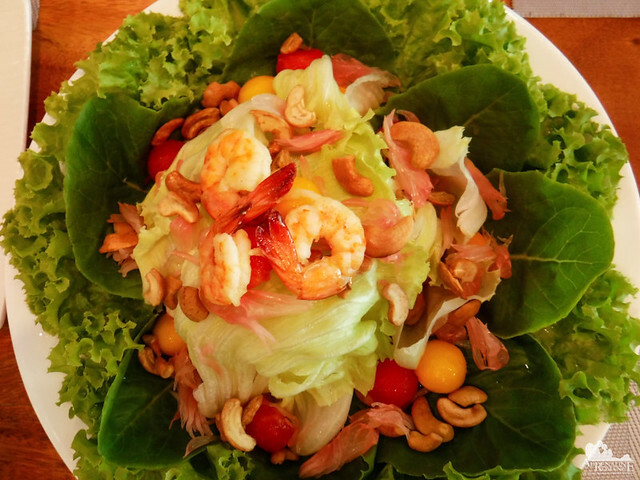 If you feel the food is sitting too heavily in your tummy, you can wash it down with some healthy green and leafy salad. Feeling thirsty? Quench that parched throat with these organic drinks. 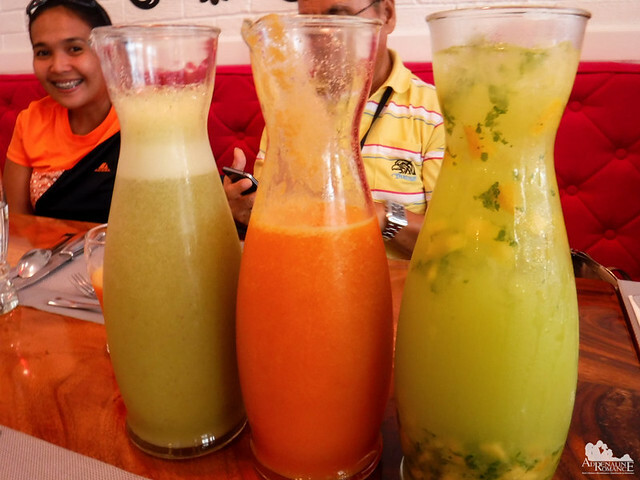 We had fresh celery and carrot smoothies as well as a very citrus blend of cucumber, lemon, and orange. A sumptuous meal should end with an equally sumptuous dessert. Ian served us their signature Molten Chocolate Surprise. The protective chocolate dome melts when a generous amount of hot cream is poured on it. The filling is then revealed—a luscious mishmash of vanilla ice cream, marshmallows, and nuts. Our tummies were ready to explode after such a heavy lunch, but everyone had space for this lovely dessert. Don’t forget to buy pasalubongs for your loved ones at home. Or buy some for your own; put some in the fridge or food cabinet for a late-night snack raid. 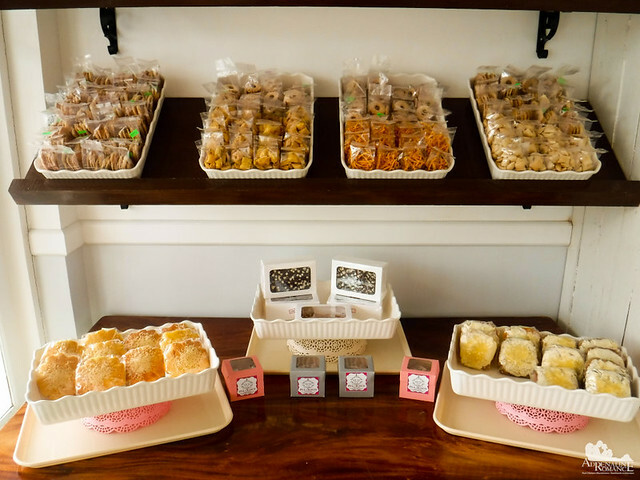 10:31 offers freshly baked biscuits, cakes, brownies, cookies, and other delightful pastries. We would like to thank Chef M, Ian Orillos, and the rest of the 10:31 staff for providing us a very enjoyable feast. In all honesty, that was one of the best gourmet lunches we have ever had. Thank you too to Mr. Neil Gerard P. Reyes, Ms. Josephine Remolador-Cabarrus, and Ms. Gina Kapirig of Bohol Provincial Tourism Office for a wholesome gastronomic and cultural experience. 10:31 is truly a culinary destination for those who love gourmet meals, luscious desserts, and quenching beverages. The interplay of visual and gastronomic artistry harmonizes into a grand spectacle for the eyes and taste buds. It is a quiet and dainty place where you can soak in delightful memories and enjoy treasured recipes with your special someone, family members, friends, and colleagues. For reservations, catering, and other information, use the contact details below. Thanks a lot sir Oliver. 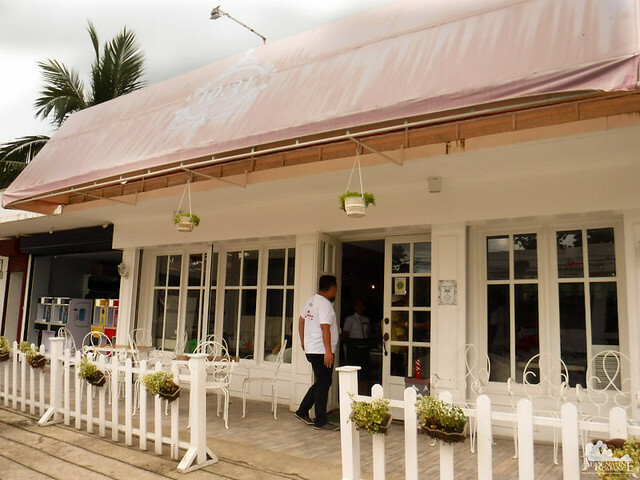 You serve as a Good Channel for those who are looking for good food to reach our humble bistro. Thank YOU! Sir Gian and Ma’am Shiela, Sobrang salamat po sa write up na to. We are very thankful for your support to the Goals of 10:31 by Chef M. Thank YOU! the food presentation looks great! The nice thing is that it is located in a quiet corner of Tabilaran. So you can enjoy your meal/conversations without the loud drones of vehicles. Judging from the photos, the place has this homey ambiance. It is also well lit, letting natural light in through the glass windows. Of course for the food, well, they are creatively presented making it look more appetizing. For the taste, I must judge this with my own tastebuds. Maybe I should give this a try once I get to visit Bohol again. This post is making me want to have my early lunch right now. Yes, indeed! The large windows allow natural light to come in. And yes, the food tastes amazing! Don’t miss 10:31 if you have a chance to visit Bohol. Oh yes! The salmon is sumptuous! Same here! We love seafood. The crab is mmmmmmmmm! Lip-smacking good! Such great food presentation here! Everything looks so delicious and appetizing. The nachos in particular made my mouth water. Yum! The food looks too fancy, I wouldn’t want to eat it as they look all fantastic when dished up on a plate. 😀 I will keep this place in mind. Indeed, the food was amazingly yummy and the plating was stunning. We are with you on the absence of WiFi. Without WiFi, people are encourage to interact with each other rather than put their noses on their gadgets. 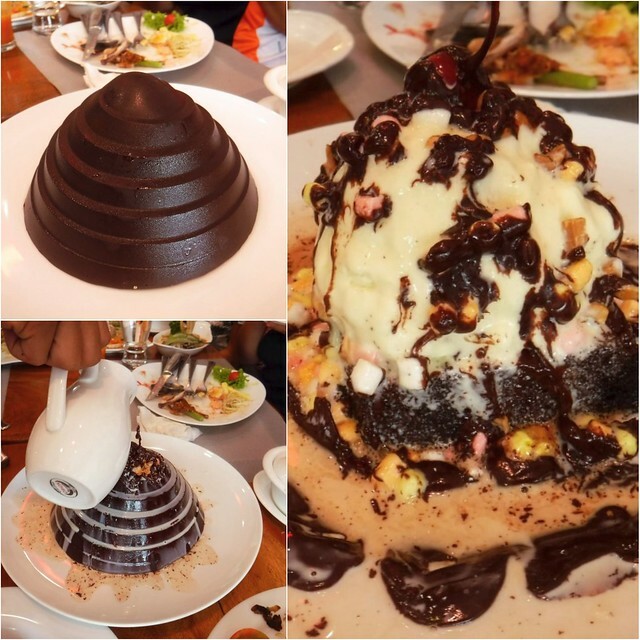 Oh that Molten Chocolate Surprise looks so delicious, im a chocoholic and thus definitely a must try!